Often we hear tales of Christians being persecuted, ridiculed and judged for their beliefs. Standing up for those beliefs are a testament of faith and cause for high praise amongst Christian peers, but what about the non-believers? Growing up, I was in and out of churches. I believed because I was told I must believe “It is not for us to question the ways of the Lord”. “Faith means believing in what we cannot see”. A battle raged inside of my mind. I found myself struggling to suppress my doubts, lest I offend God and end up on his naughty list. I attended church faithfully. I raised my hands during worship, following the lead of my church family, even though it felt wholly unnatural to me. I suppressed my discomfort as I had suppressed my doubts. I longed to please God. I ached to lead a Godly life. I felt shame that I was too shy to spread the word to strangers, for their blood was on my hands. My failure to get over myself and say something, just say something, may have left this poor soul in the dark and holding a one way ticket to eternal gnashing of teeth and astronomic terror as they burned in endless agony. I recall reaching out to God and asking Him for a word over me on several occasions when prophecies were flowing out of the mouths of the gifted prophets at Church Camp. I even raised my hand in a workshop when the teacher asked who wanted to be prophesied over. Everyone was noted and given a word, except me. I began to think I was unwelcome and felt God rejecting me. I didn’t blame Him, I didn’t like myself much either. In fact, I hated myself. As a teenager, I began to suffer deeply from depression. I felt unworthy in every way. I found cutting myself was the only way to manage. Besides, I deserved to be punished. As I struggled to cope with my depression, I felt pressure from my loved ones to stop fighting against God. 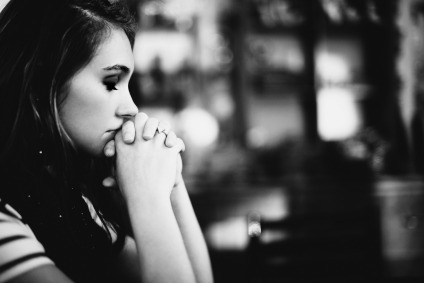 One night, at a Church function, as the faithful headed to the alter, I sat in my seat plagued by discomfort and regretting my choice to attend. Someone approached me, someone that I loved and respected. She began to speak to me about Jesus, trying to persuade me to let God in. I told her I did not want to go to the alter. 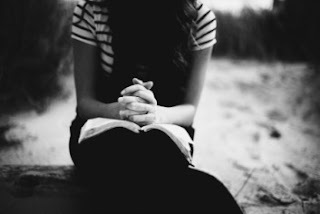 I will never forget what she said to me with tears in her eyes, “If you are not on Jesus’ side, you are on Satan’s side.” Angered, humiliated I hurried to the restroom to cry and probably claw my legs until I felt the physical pain match the emotional pain. I felt so hurt, so condemned and so clearly alone. Now, as an adult, I still struggle with my upbringing from time to time. The teachings of the churches I attended, by choice and by family inheritance, still haunt me. Although I find myself for the most part, free of religion, there is a voice in the back of my head that sometimes says, what if you’re wrong? In my opinion, this is due to the brainwashing nature of religion. I have children of my own now, whom I have chosen to raise free of religion. It is not that I am completely opposed, rather I want them to be able to make their own choices when it comes to spirituality. I know there are those who would fear that I am jeopardizing their very souls. You may find yourself asking, “Wouldn’t it be better to be safe, than to be sorry?” Well, to that, I would like to say that the very opposite was true for me. I strongly believe that my experiences with the teachings of Christ in the Christian Church, The Non-Denominational Church, The Four Square Church, pushed me recklessly deeper into my depression . I do not blame the church or Christianity for all of the scars I now bare, but I do feel that the unsavory relationship I kept striving to emend, was a major factor in the detrimental downward spiral I once faced. Now, as you can hopefully understand, my children are non-believers. Which leads me, finally to one last anecdote and a sincere request to those of you who have found that a life lived by the teachings of Jesus are for you. I have children of my own now, whom I have chosen to raise free of religion. [...] I know there are those who would fear that I am jeopardizing their very souls.My oldest child just finished fourth grade, here in Tennessee, which is a vastly religious state. She recently shared with me that some of her friends tend to mock other children on the bus, who have outwardly stated that they do not believe in God. This left my sweet little girl shrinking in her seat, in fear that they would learn that she, too, is a non-believer and begin to mock her, as well. Churches are meant to love others without judgement. Sadly, it seems judging is in all of our nature. My loved ones have found insurmountable peace in God and I am happy for that. Now, I ask that everyone please try to remember that we all have our reasons and we all are doing what we believe is right for us and for our family. Spare the judgement. Spare the pressuring. If you feel someone may be lost, I beg of you to pray for them. If you feel you must tell them of the word of God, then offer it to them, by all means. If they are unwilling, it is not the right time for them. Maybe it will never be. Please remember to take into consideration that all they might need is a little bit of understanding and a lot of compassion. I would love to hear your thoughts as believers and non-believers. Please do not post anything hateful or derogatory. Thank you.